Traversing mountain passes can be a harrowing experience, no matter the season. Making your way up a two-lane road packed with tight turns and death-defying drops on either (and sometimes both) sides certainly isn’t the most settling of experiences. 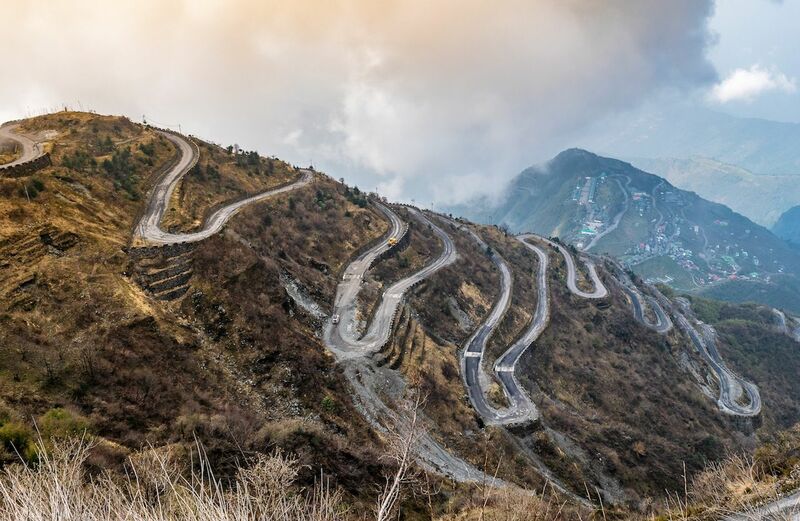 But these 10 drives take the fear factor to new heights and might just be the scariest switchback roads anywhere in the world. 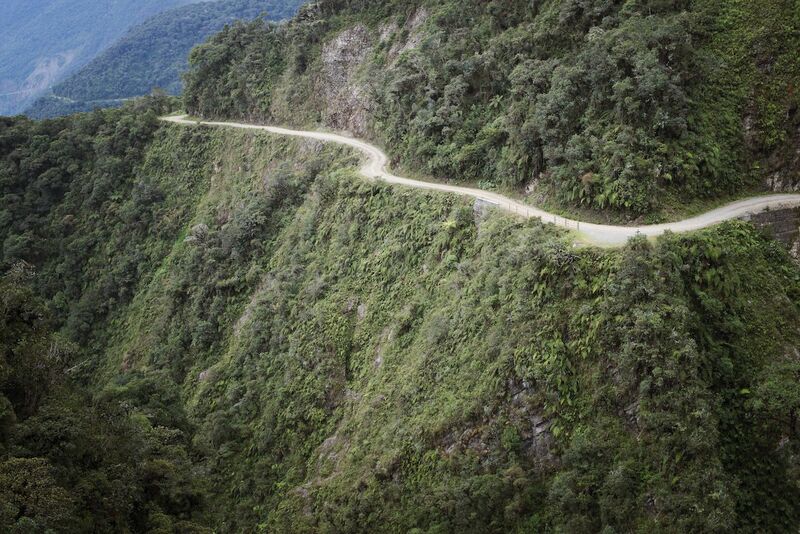 This 40-mile stretch of one-lane road connecting La Paz to Coroico is often referred to as “The Road of Death” or simply “Death Road.” With over 200 hairpin turns, vertical drops as far as 2,000 feet into the Amazon rainforest below, and unpaved sections without guardrails in many places along its path, it’s no wonder this road has its own special set of driving rules. While Bolivians normally drive on the right side, North Yungas Road requires its travelers to hug the left, away from the unprotected cliffside. Prior to 2007, when a stretch of paved road was opened to bypass North Yungas’ most dangerous section, it’s estimated that 200 to 300 people died each year while attempting the journey. It comes as no surprise that this road is dotted with small memorials to those who never made it to their intended destinations. Regardless of its daunting reputation, the road is a popular tourist destination for thrill-seeking cyclists. Named for the fog that often wafts up from the South China Sea below, Hai Van (“Ocean Cloud”) Pass is a 13-mile stretch on National Route 1A between Da Nang and Hue in Vietnam. Visibility on the pass is often hindered by its misty namesake, obstructing its breathtaking ocean views and adding an extra element of danger to its winding course through the jungle-clad Annamite mountainside. Those who wish to witness its risky beauty firsthand can also choose to traverse the road by train as Vietnam’s North-South Railway runs along the cliffs’ edges with views equal to, if not better than, travel by road. 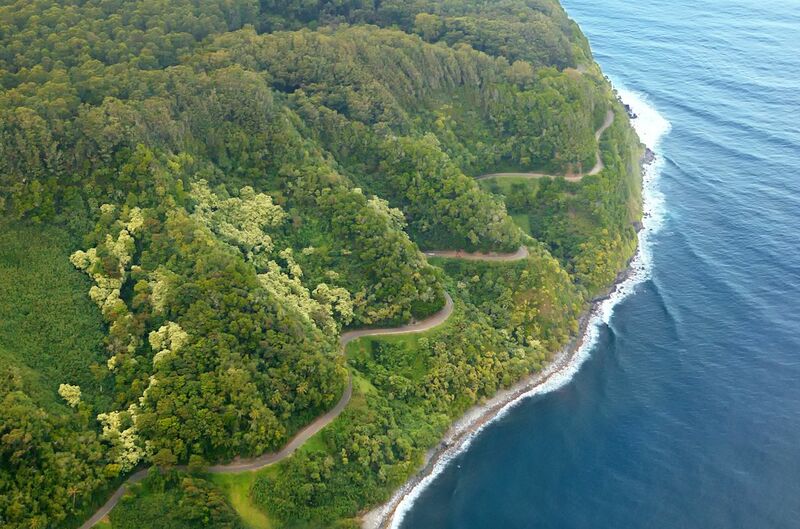 Considered one of the most scenic drives in the world, the Hana Highway is a 64-mile-long stretch of Hawaii Routes 36 and 360, connecting Kahului to Hana on the island of Maui. Be prepared for the 617 winding switchbacks, 56 bridges (most of which are one-lane), steep cliff drops, falling rocks, and sudden torrential downpours as you take in the luscious rainforest and grandiose seascapes around you. Don’t forget your camera (please, pull over) as you will be heavily rewarded for your efforts with ethereal waterfall pools, lavish botanical gardens, and sumptuous black-sand beaches along the way. It took eight years to complete the roughly seven-mile Big Gate Road, which ascends from 200 to 1,300 meters. Also known as Winding Mountain Road, this course boasts 99 serpentine curves, symbolizing the Chinese nine palaces of heaven. Even if you are brave enough to navigate all those precarious curves, you won’t reach the mountain’s summit unless you are willing to climb the 999 stairs that lead to a natural-rock arch at the top. The arch is called Heaven’s Gate and is believed by some to be the link between the gods and the mortal world. Tianmen Mountain is also home of the world’s longest passenger cable car, which will take you from the Zhangjiajie railway station below all the way to the peak, an appealing alternative for the adventurer who prefers more of a direct route. You’ll find a brief stretch of road tucked away in the Rhone-Alpes region of southeastern France. It’s called Lacets de Montvernier, or Hairpins of Montvernier; the name says it all as you will find 17 extremely tight turns stacked one on top of the other as you travel its condensed 1.9 miles. This short stretch is the best-known section of D77B, a road leading to the Col du Chaussy pass at an elevation of just over 5,000 feet. The most dramatic and significant pass between Chile and Argentina is Paso de Los Libertadores, also known as the Paso del Cristo Redentor. Reaching approximately 10,500 feet at its summit, its name comes from the infamous four-ton statue of Jesus (Cristo Redentor de Los Andes), which resides on the Argentina side. 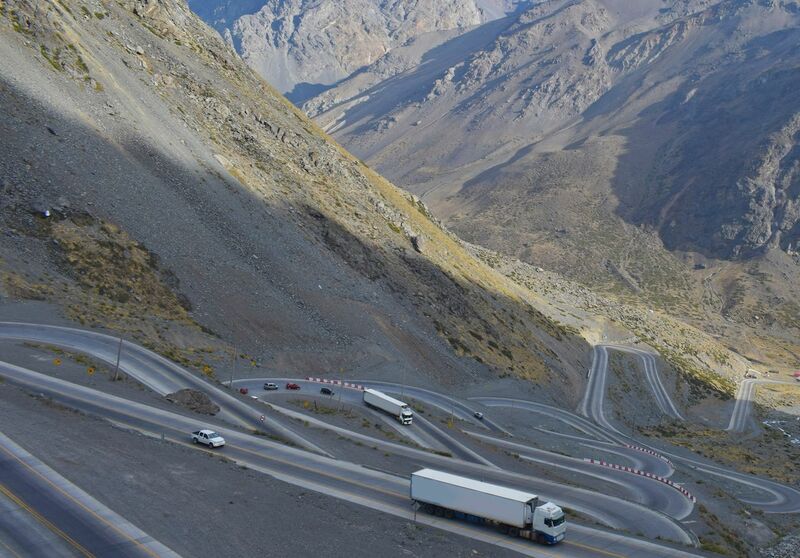 The most scenic part of the road is a small section on the Chilean side called “Los Caracoles, or The Snails,” due to the incredibly slow-moving nature of heavy trucks making their way up the mountainside. Despite its sporadic lack of guardrails and seemingly common treacherous weather conditions, this roadway is regularly maintained and has managed to avoid a substantial accident record. 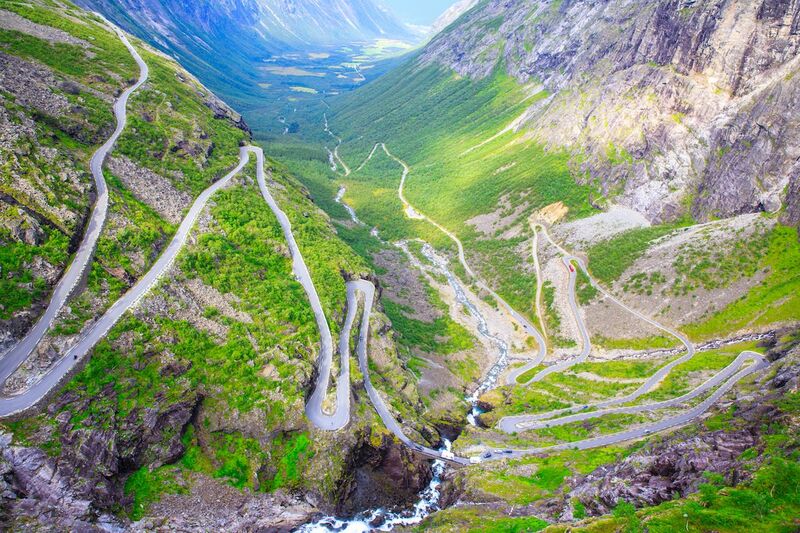 Known as “Troll’s Road” or “Troll’s Ladder” in English, Trollstigen is hidden deep in the mountains off the western coast of Norway. This section of Norwegian National Road 63 is known for its dangerous conditions, including the steep incline, narrow roadway, dramatic zigzags, and poor traction and visibility that come with rain and fog. That being said, it is also considered one of Norway’s most scenic drives and is often traversed by visiting adventurers. Cross your fingers for favorable weather and hope for clear views once you reach the vista point at the top. 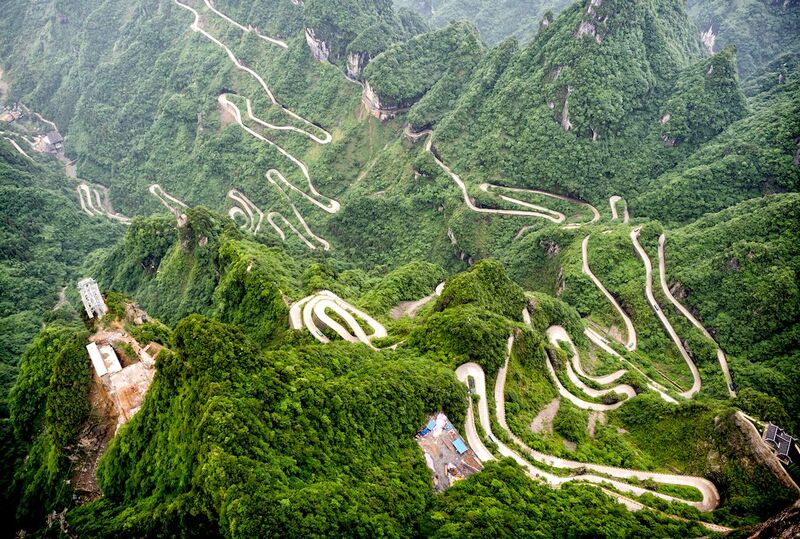 With over 100 hairpins in its 18.6-mile stretch, Three Level Zigzag Road could arguably be the most dizzying road in the world. Located high in the Himalayan mountains and reaching 11,000 feet at its peak, this road used to be a trade route for silk merchants between Tibet and India. Heavy snow and landslides are common, but if you get the chance to brave it, you could witness one of the best sunrises in all of Asia. 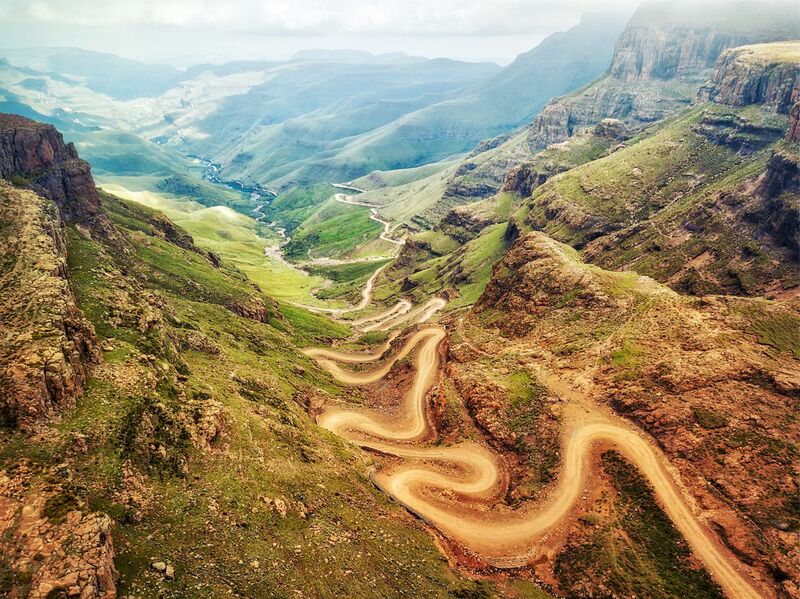 Along a winding route through the Western mountains of the KwaZulu-Natal province, Sani Pass connects Underberg, South Africa, and Mukhotlong, Lesotho. It’s undoubtedly one of Africa’s most spectacular mountain passes, with stunning views and glimpses into the local culture. Don’t be surprised to suddenly come across a herd of mules or horses carting food and other goods for their keepers. Since your speed will (by necessity) be slow enough to stop in time, you may as well relax and enjoy the experience — if you can. Due to extreme weather conditions, this road is often closed in winter, and it is highly discouraged and sometimes not permitted at all to travel without a 4×4 vehicle. Once you reach the summit, you can enjoy a rest inside of The Highest Pub in Africa, which was aptly named for its altitude of 2,874 meters above sea level and boasts residency on both the South African and the Lesotho sides of the border. 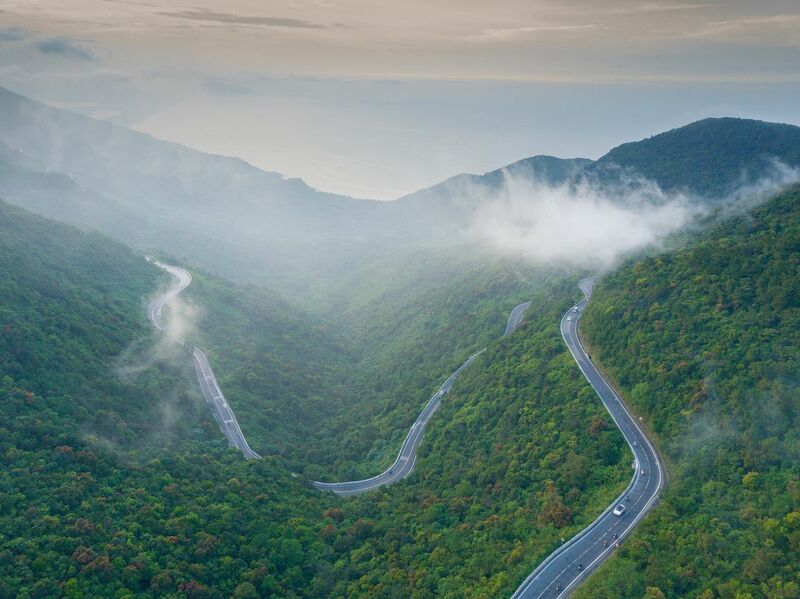 Tsugaru Iwaki Skyline is described as one of the most challenging drives on Earth. It’s a roughly six-mile toll road that consists of 69 hairpin turns, starting at the foot of Japan’s Mt. Iwaki and ascending up to about 4,000 feet at its endpoint. The drive takes you through a lavish forest of 90-year-old beech trees as you navigate the sheer cliffside drop-offs and dizzying twists. When the road ends, you can park and take a chairlift up to the very top of the volcano to take in the majestic views and look down upon the serpentine journey that got you there.